Winter in the Smoky Mountains is often quite unpredictable. So far this winter we have had more snow than normal, making things a bit more interesting. Of course, there are always great events in our area despite the weather. If you are visiting the Smoky Mountains these are a few events you may want to check out. 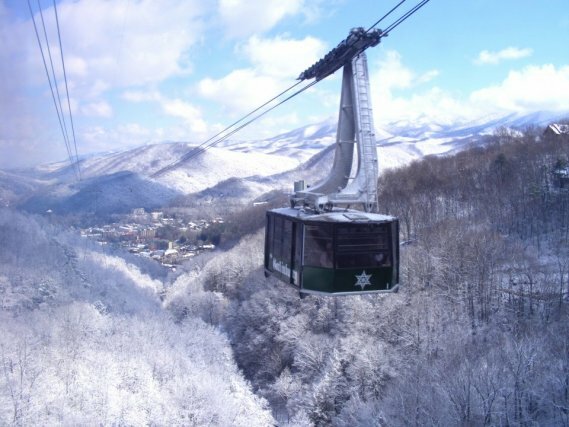 Want to play in the Snow than visit Ober Gatlinburg. The ski slopes are open until the beginning of March, weather permitting. They make the snow and as long as the temperatures don’t get too high most of the slopes are open. Of course, you don’t have ski, they also have tubing, snowboarding, ice skating, or just grab a cup of coffee and enjoy the snowy mountains. You can ride the tram from Downtown Gatlinburg or drive to the top of Ski Mountain Road and pay for parking. Looking for Romance for Valentine’s Day-the Hillside Winery in Sevierville is offering a great package. Stay and dine with a lovely three course dinner after a tour of the wine cellar. Of course, during the tour you can sample the wines and pick a pairing for your dinner. They are serving a gourmet dinner at the Governor’s Inn. Might be perfect for a nice romantic dinner. Perhaps You are Looking for a Little Horseplay-Pigeon Forge will be hosting the 14th Annual Saddle Up event February 19-23, 2014. This will be held at the New LeConte Center at Pigeon Forge, Smoky Guitars, Claybough’s Campground, Stages West, and the Pottery House Café and Grille at Old Mill Square. This event hosts a Songwriters’ Workshop, Cornbread Sampling, Photography presentation, Fiddle and Guitar Workshop, a Cowboy Dance, and ends the event with Cowboy Church. They also have many live concert events with dinner and dancing. I have never been to this event, but it sure sounds like fun. A Fun Hairy Event-The 13th Annual Southern Select Alpaca Show will be held at the Sevierville Events Center March 1 & 2, 2014. Last year, Lynn went to this event with her grandkids and had a ball. 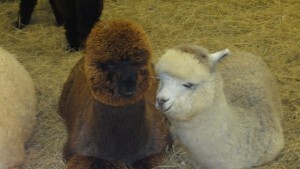 The breeders of the alpacas are there to feature them and show the different breeds. They also have yarns, stuffed animals, and other gifts for sale. It was a fun event and should be again this year. These are just a few options if you are visiting the Smoky Mountain Area in next few weeks. We always love to hear of your experiences too.